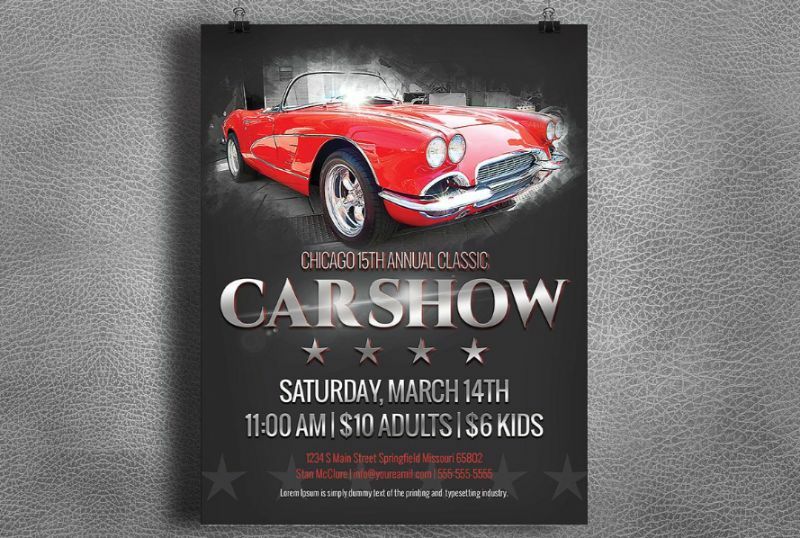 Car show flyer templates are used for the promotion of car show event on a professional way. 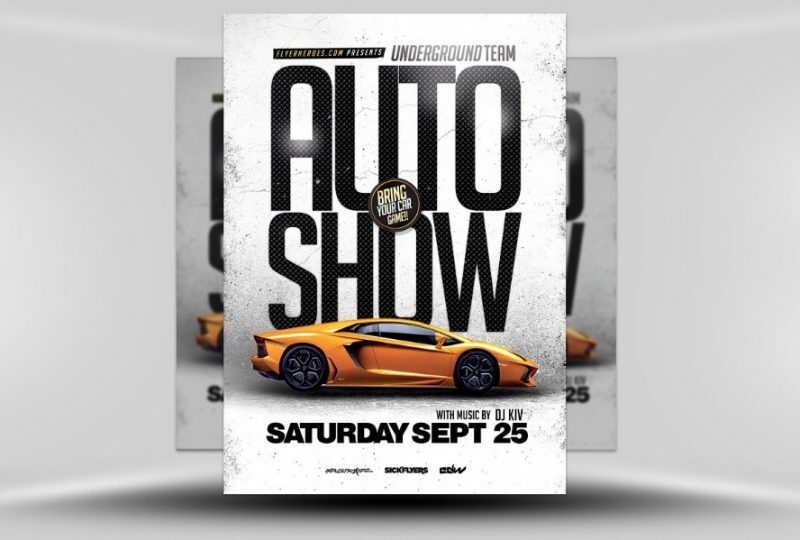 You have to distribute car show flyers about the event. 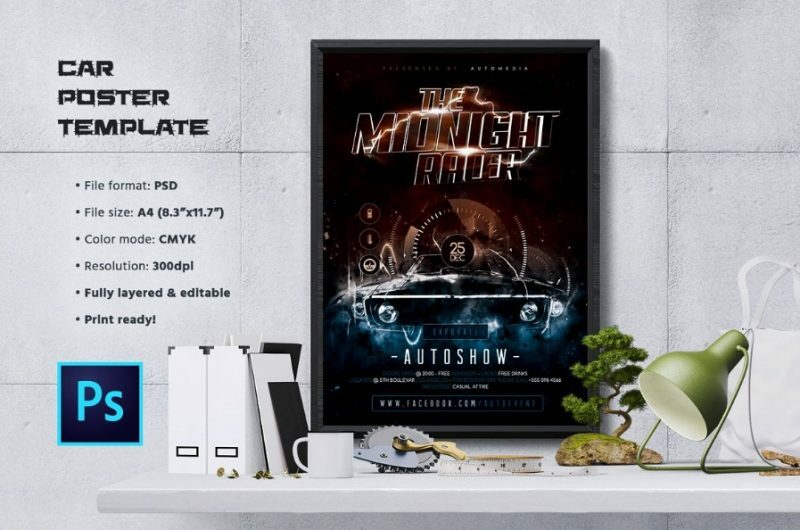 You have to include all the details of the car show in those templates. 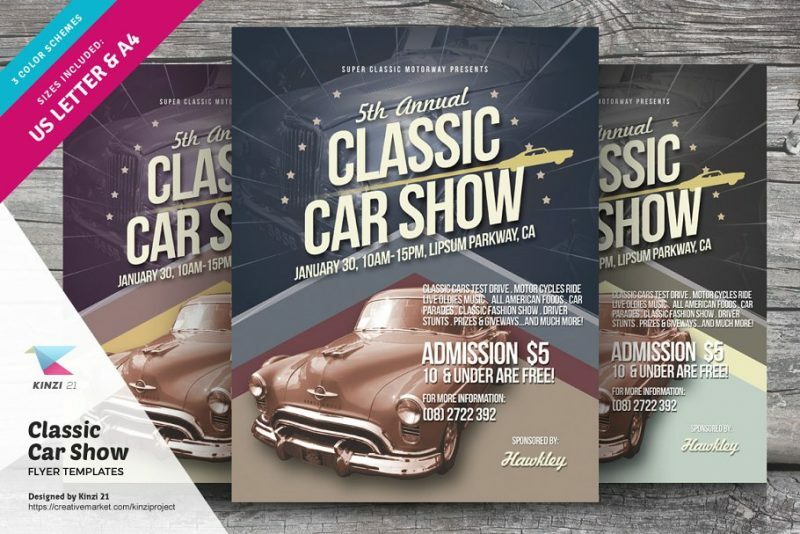 You can create an outstanding flyer template for the promotion of the car show. You can edit all the below presented templates by using adobe photoshop and Adobe illustrator. You can customize all text and images on the template according to need. 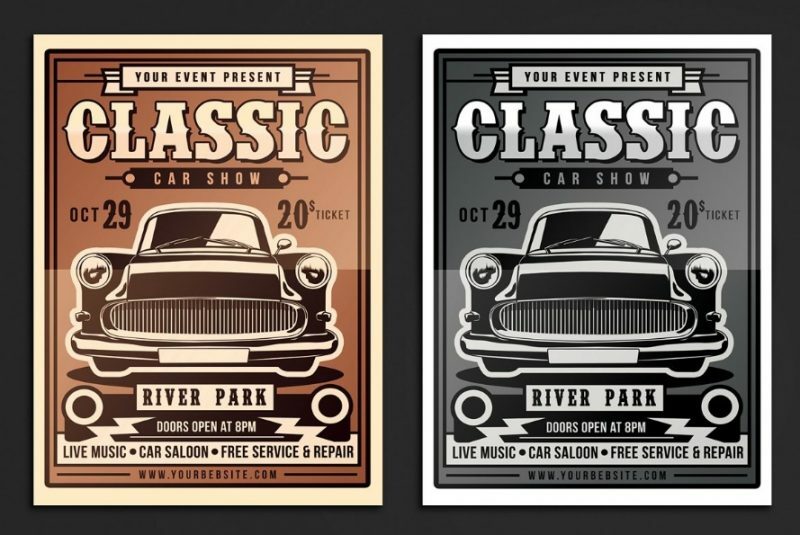 In this article we have included different types of flyer templates which can be used for car show promotion. 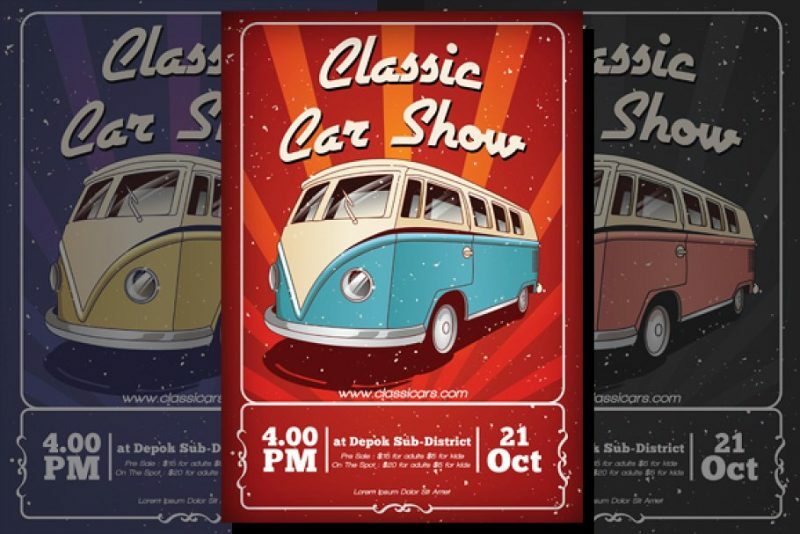 Some of the best templates that include in the pack are vintage car show, modern car show and sports car show flyers. In this templates you can customize all text and images according to your need using the layers. The smart objects of the flyer will help in the image customization. 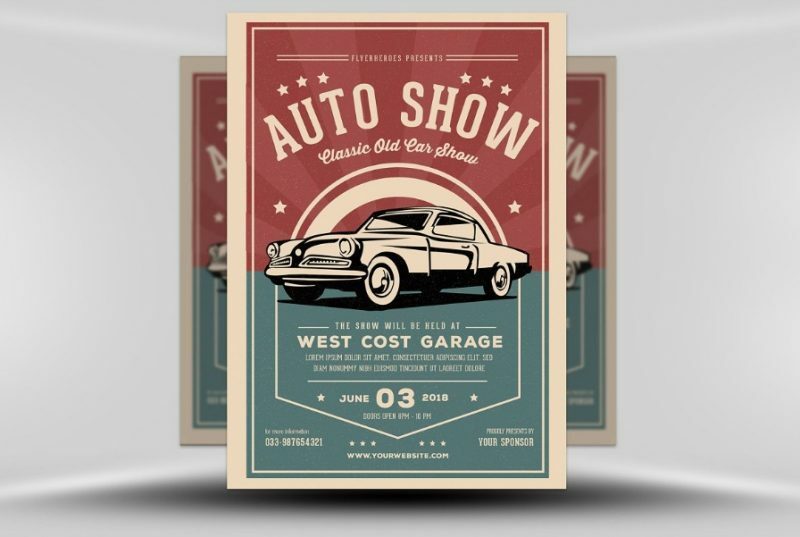 In this pack you get bot A4 and US letter size flyer templates for promotion of car show event. Both the formats of the flyer come in 0.125 mm bleed that will make your print process easy. Three different color options are included in the pack. 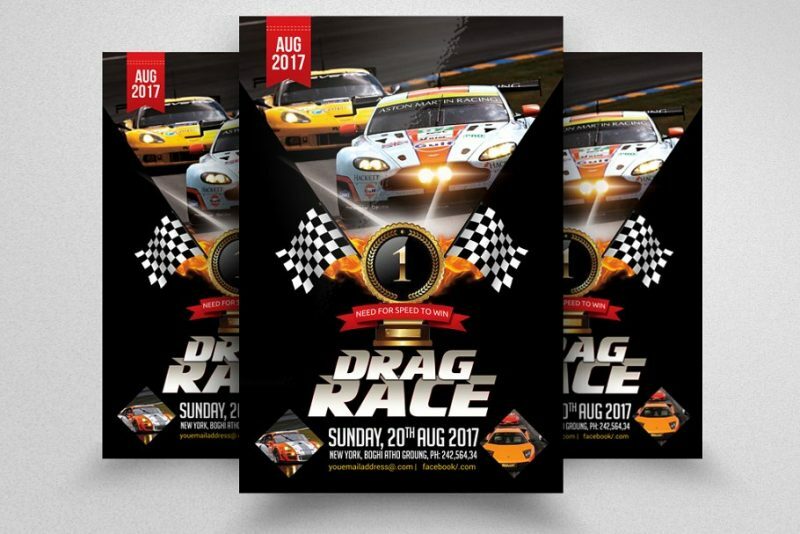 This is a perfect flyer for race car show promotion. 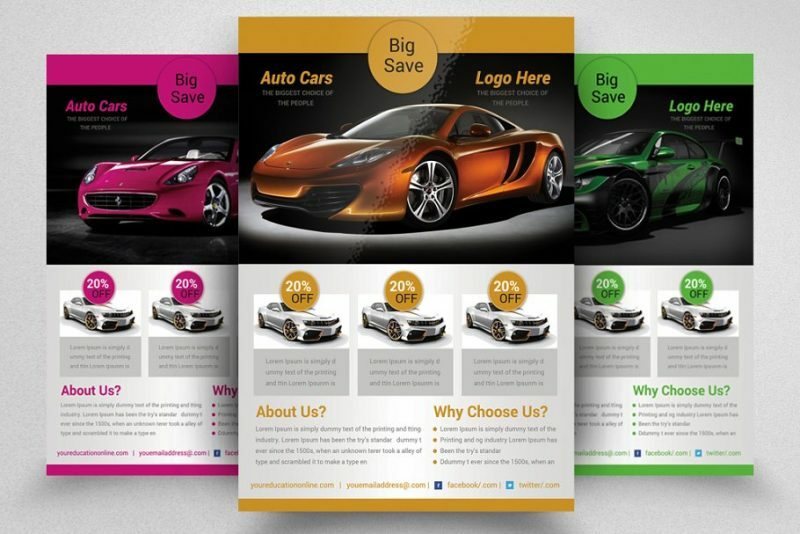 This template will give a elegant look to your promotional design. Images present in the above presentation are not included in the final download. You can contact the designer if you want any help during editing process. 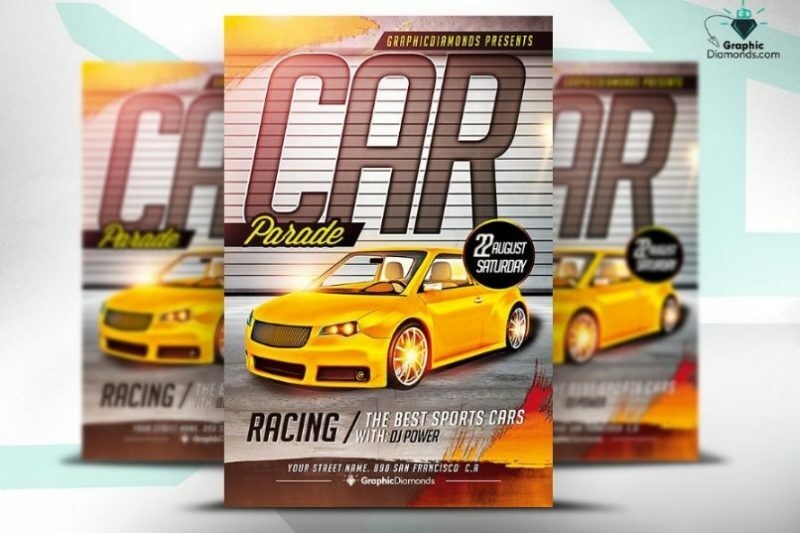 In this pack you get both poster and flyer design for the promotion of car show event. 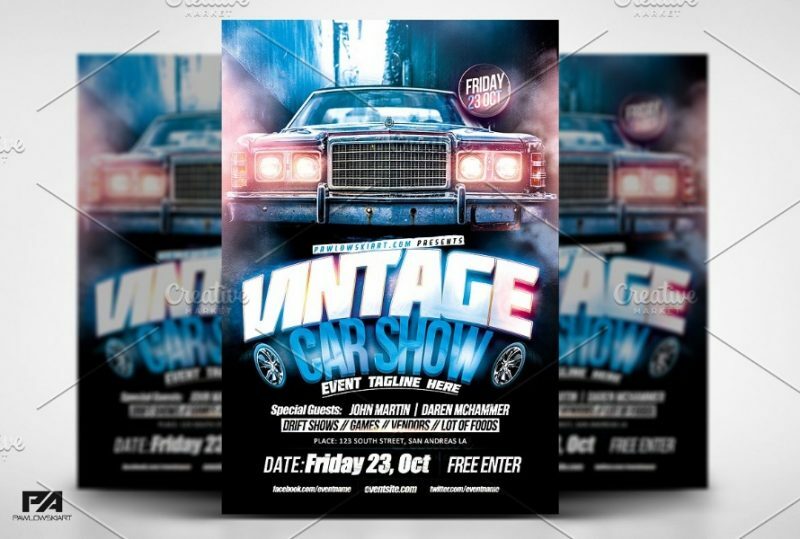 You can give a classy look to the flyer by using this templates. In this pack you get a car photo in the and the links to fonts are included. 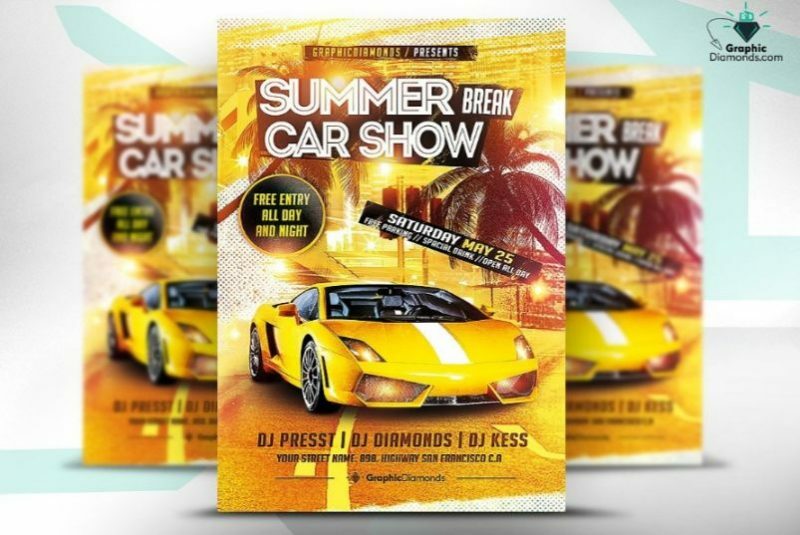 Hope you like the collection of the best car show flyer templates for designing a perfect promotional flyer.